We live in an era of bumps in merger payments that the buyer thought had been negotiated, and Google (GOOG) is about learn this the hard way in its $106 million acquisition of On2 Technologies (ONT). As the stock market continues to rally shareholders whose companies get acquired are depressed to see that they are stuck with stale valuations from the time their mergers were first negotiated. In the meantime, Facet (FACT), Diedrich’s (DDRX), Hiland and others see their buyout prices bumped up. So we have sympathy for the owners of On2 Technologies who refuse to vote in favor of the acquisition of their stock by Google for $0.60 worth of Google stock. That’s not $0.60 in cash but $0.60 worth of stock independent of Google’s stock price. The problem is that $0.60 worth of Google stock are a lot fewer shares today than back in August when the merger was announced. Google has since risen from the $450s to the $580s, or 29%. The merger consideration has remained constant $0.60. Had management negotiated a fixed exchange rate of, say 0.0013 shares of GOOG for each ONT, then shareholders would receive $0.77 worth of Google stock for their shares now. The flipside of a constant merger consideration is that it has become much less dilutive for Google. Instead of issuing roughly 235,000 shares based on Google’s August share price, Google will now have to issue only 182,000 shares (assuming the VWAP for GOOG will be around $580). This was per 9/30, a full two months prior to the record date for the meeting. We would not be surprised if their holdings of shares have since doubled. As we pointed out in our book about merger arbitrage, the outcome of many mergers is driven by the arbitrage community whose holdings often reach the 30-50% range during the merger process. A study by Micah S. Officer (“Are Performance-Based Arbitrage Effects Detectable? Evidence from Merger Arbitrage,” Journal of Corporate Finance 15, No. 5 (2007), 793–812) gives examples of the percentages reached historically in some mergers. For Google, this is its first purchase of another public company. So they are still learning and probably won’t mind bumping the price, especially not if the transaction is so small that it is a mere rounding error in their financials. They simply have to increase the exchange ratio to the level they were willing to pay back in August. That would boost returns to shareholders significantly and win over the support of the arbitrageurs. The extent to which the buyout of American Community Properties Trust (APO) by Federal Capital Partners is flawed was revealed in the company’s recent proxy filing. One of the unhappy shareholders, Paul J. Isaac, was given the opportunity to continue to own ACPT even after the buyout. The other shareholders will forgo the opportunity to get full value for their shares. Where’s The Arbitrage In The New Merger Arbitrage ETF? Survivorship and backfill bias in hedge fund returns have been written about extensively. A recent article in Hedge Fund Alert drew out attention to yet another problem with the reporting of hedge fund returns. It turns out that last year’s carnage has left so many hedge funds underwater that the returns posted for this year are not actually what you will earn if you are a new investor. It is doubtful that the buyout of the Hiland MLP (HLND and HPGP) by billionaire Harold Hamm will get sufficient votes at Tuesday’s shareholder meeting. This is already the second meeting after the Otober 20 meeting was adjourned when only 43% of the publicly held shares voted in favor. Both Hiland companies have significant upside if the deal falls through. 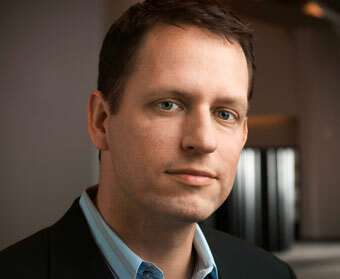 At Thurday’s 2009 Investor Leadership Forum hosted by the Argyle Executive Forum and Capital IQ Peter a speech by Thiel of Paypal and Clarium fame linked future economic growth to innovation and technology rather than government stimulus. Among the many consolidations of MLPs (recall the mergers of Magellan Midstream MMP, Atlas ATLS or the pending Enterprise/Teppco EPD/TPP) one deal stands out as a particularly bad deal: the opportunistic squeeze-out of minority shareholders of Hiland Partners (HLND) and Hiland Holdings GP (HPGP) at record low prices by oil magnate Harold Hamm. Management of the two firms seems to be getting increasingly worried about obtaining sufficient votes for the buyout at the October 20 shareholder meeting, judging by the flurry of proxy solicitations that we have received. With the recent recovery in gas prices the acquisition looks priced too cheaply, and it is no wonder that shareholders are reluctant to support this bad deal.